Alrighty! Gonna actually post early for once! I'll repeat the one voice actor I really want - Rica Matsumoto (Satoshi/Ash Ketchum in Pokemon)Ryou Bakura in Yu-Gi-Oh! Duel Monsters, Jim Hawkings in Outlaw Star, Rumi from the Satoshi Kon movie: Perfect Blue, and Aoi Futaba from You're Under Arrest. Other options would be: Hoshi Souichirou, Yukari Tamura, Matsuoka Yoshitsugu, Megumi Hayashibara, and Kamiya Hiroshi. Mitsurou Kubo & Sayo Yamamoto! The Yuri On Ice creators! It's the 20th Anniversary for the Pokemon anime this year so I'd love for Rica Matsumoto to be at Fanime. She's an incredible voice actor/singer voicing Satoshi/Ash Ketchum, but also Ryou Bakura in Yu-Gi-Oh! Duel Monsters, Jim Hawkings in Outlaw Star, Rumi from the Satoshi Kon movie: Perfect Blue, and Aoi Futaba from You're Under Arrest. Ideas and Suggestions / Re: Guests I Want for Fanimecon 2016! Rica Matsumoto from Pokemon/Yu-Gi-Oh. The Pokemon franchise's 20th Anniversary and the new Yu-Gi-Oh movie is in 2016. Why not give this a shot, hehe. Sadly the gathering was fairly small, but the tea party was great! I took some pictures of both events! 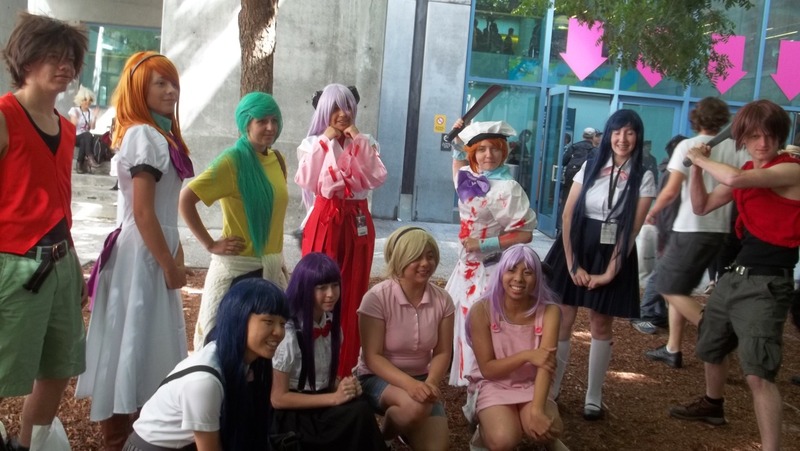 Ideas and Suggestions / Re: Guests I Want for Fanimecon 2012!!!!!!! Manga Artist: Rei Hiroe, Ashika Sakura, Kenji Hata, Kouji Seo and Matsuri Hino. Ideas and Suggestions / Re: Schedule Please!!! I agree 100%! Just ask the attendees after receiving their badge if they want a schedule or not.